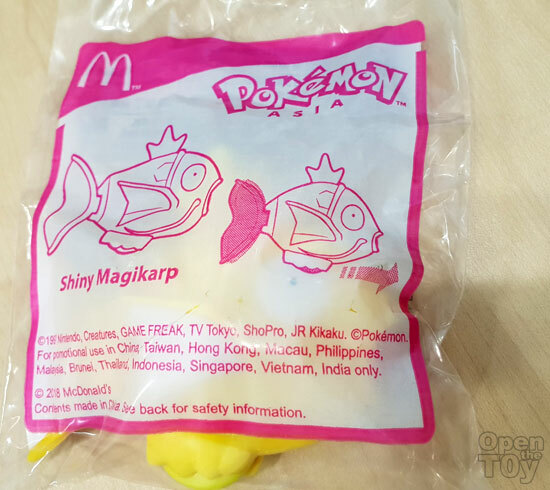 Today is another release of the Singapore Pokémon series at Singapore McDonald for Happy meal toys. I have been eyeing on the Shiny Magikarp and got it! So here is the review. Shiny Magikarp is rare in the Pokémon game. For the mcDonald Happy meal toys it make it really look like the game. The feature it has was there's a wheel below and when you push it, it will move the tail. 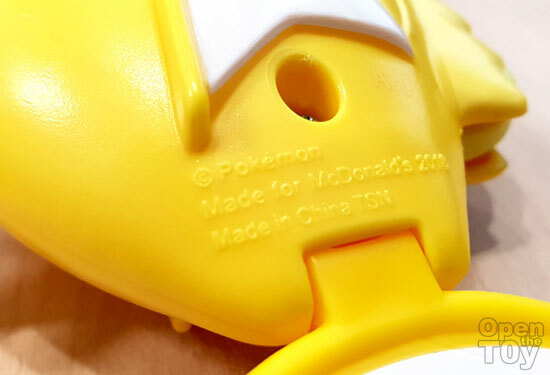 At one side, you can see a screw where it hold two pieces of plastic mold together. At the tail area, there's a trademark of the toys. 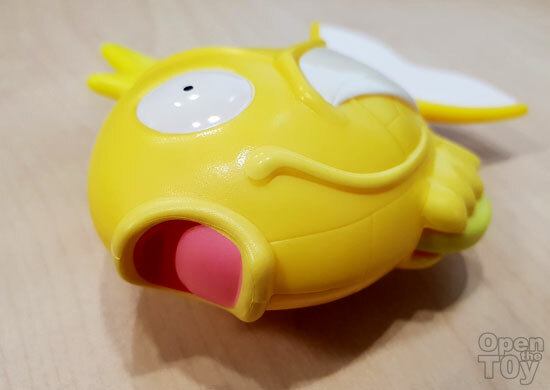 Here is the action of the Magikarp when you give it a push. See the tail flipping? 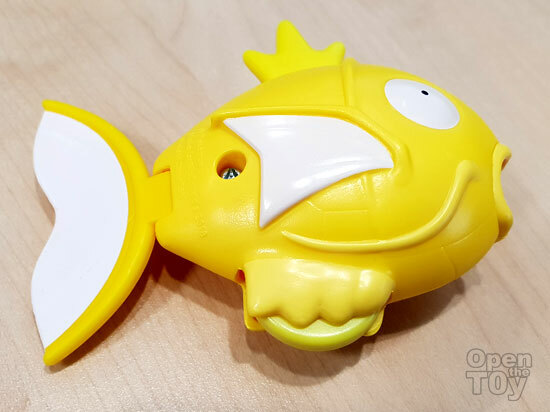 Overall it is a good toy with the likeness and if you are a magikarp fans, this is a good one to get. Plus it is a SHINY! !